Creatures™ CreatureTherm Heater | Zoo Med Laboratories, Inc. 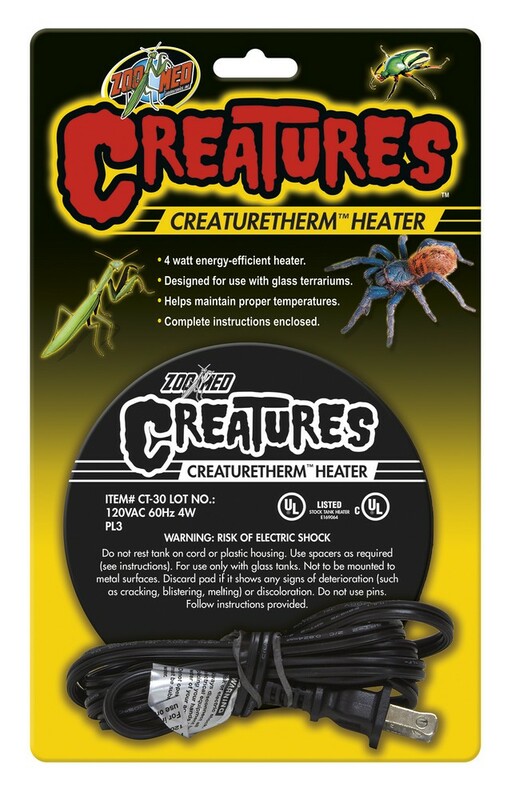 The CreatureTherm™ is an easy to set up glass terrarium heater for Arachnids, Insects, and more. Helps maintain proper temperatures to keep your pets healthy. Always follow the included instructions when using an electrical device. Designed for use with glass terrariums.